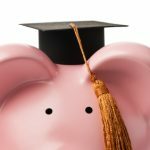 Last week I asked for opinions on the best 529 plans. In short, we’re looking for a plan, and we’re not enamored with our in-state option. As it turns out, I was mistaken when I said that we exceed the income limits for deducting contributions from our state taxes. Upon further investigation, it seems that they’ve changed the law, and they do allow for a deduction regardless of income, but you can only deduct $2000 in contributions per year on a single tax return. In short, this means that my wife and I would be limited to a combined annual deduction of $2000 even if we set up separate plans for all four boys. On top of thiswe’re not crazy about the investment options, and we’re also planning on saving a lot more than $2k/year. Sure, we could do $2k in state to get the deduction and then focus our efforts elsewhere, but I’m not sure that it’s worth the trouble of keeping track of yet another account. Thus, we’re looking for an out-of-state plan to hold most, if not all, of our contributions. After reading through the responses to my original post and doing some more research on my own, I’ve identified what appear to be the three best plans for our circumstances. They are (in no particular order): Illinois, Ohio, and Utah. What follows is a breakdown of the key features of each state’s plans. Note that I’m looking at all three of these plans through the eyes of an out-of-state investor. In some cases, the account maintnenance fees may be waived or at least reduced for state residents. Likewise, there may be tax benefits for in-state investors. But since those don’t apply in our case, I’m ignoring them. Minimum contributions: $25 initial investment, $15 minimum for subsequent contributions. Investment options: Two age-based options (active vs. index) and four static investments options. Age-based portfolios are held at Oppenheimer Investments whereas static portfolios are held in Vanguard mutual funds. Fees & expenses: Account maintenance fee of $10/year. Investment expenses range from 0.20-0.23% for the Vanguard funds. Minimum contributions: $15 per investment option. Investment options: Investments are offered through Putnam (for Ohio residents only), Fifth Third, and Vanguard. I’m focusing on the latter, which means there are three age-based options and eleven static options. Fees & expenses: There is no account maintenance fee. Vanguard funds have a management fee of 0.20%-0.30% and an underlying expense ratio of 0.05%-0.13%. Investment options: Five age-based options and four static investments options. Investment Investments are held in Vanguard mutual funds or in the State Treasurer’s fixed income portfolio. Fees & expenses: Account maintenance fee of $4 per $1, 000 invested up to a maximum of $20 per year (waived for Utah residents). Annual program management fee of 0.25%. Investment expenses range from 0.025% to 0.13% annually, except for the State Treasurer’s Investment Fund which has no additional expenses. Since all three offer very similar investment options (and all would allow us to invest through Vanguard, our preferred vendor) our decision will turn mainly on cost. Based on that, it looks like Ohio comes out on top until you get to higher balances, at which point Illinois looks to be the best choice, with Utah coming in last. I’m still somewhat undecided as to whether or not we should put the first $2k into our state plan to capture the tax deduction and invest the balance elsewhere, or to just forego the small(ish) deduction, streamline our investments, and put it all in one state. 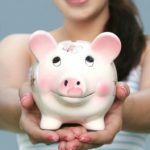 The Very Best 529 Plans? I originally lived in NY and contributed to my states 529 plan, and then after a few years moved to NJ. I am considering moving the funds to another state sponsored plan or even removing and placing the funds in another investment vehicle. My concern is that if/when I remove th funds, NY State will look to recapture the deductions that I took several years ago when I was a NY State resident. 1 – is this true? and 2- is there anyway to get around this recapture clause? It’s just frustrating since I am no longer a NYS resident. The advantage of Coverdell is that it covers k-12 and college while 529 only covers college. We’re about to have a baby in 2008 — we can’t contribute in 2007, right? Also — our more immediate concern is private school tuition. Are you contributing to Coverdell Educational Savings Accounts? Go to https://www.brightstartsavings.com, click “Forms and Literature” and then enrollment kit. The breakdown is on p. 42 of the pdf file. They’re mixtures of S&P, Extended Market, and Developed Markets. So there is some international exposure. Has anyone figured out exactly what Vanguard index funds were chosen for the Illinois Bright Start plan? For the static portfolio choices, it just says “Equity Portfolio” without listing if it will be the Total Market Fund or the S&P 500. I am also troubled that the Illinois plan does not give you the option of investing in an international index fund. NCN & Randy: I still haven’t worked out how much we’re going to save, so we’ll probably just pile a bunch in to start and then re-assess as we go along. We’re also thinking of just using a single account for the time being despite the fact that we have four kids. Less to keep track of, and we intend to pay for the educations regardless, so it doesn’t really matter who the beneficiary is right now. Of course, this will affect age-based portfolios (older kid = less aggressive) so that’s something to keep in mind. We can always do partial rollovers into different accounts down the line. As for the max contribution limits, keep in mind that you can actually open accounts in multiple states (and for multiple kids in each state) so you can use the Illinois plan until you hit the limit and then add another out-of-state account if necessary. How are you calculating how much to put in for each child and then the associated frequency? Do you set some target goal and work backwards? Ohio deduction is $1000. Married filing separate gets you $1000 for each person. I purchased the pre paid tuitions credits in 2001 – right before the “caps” on college increases were lifted. The best investment I ever made. These tuition credits did so well, the State does not allow anyone to buy them anymore. Starting this school year, the State has frozen tuiton for two years – which means the credits will not increase in value. Stupid question: if one is lucky enough to live in Ohio, what is the tax deductiblity of the Ohio 529? Is it just state income tax or is fed deductible, too? Nickel, How are you calculating how much you should be saving for each one of the boys? RKP: You’re right. I mis-read my own writing and added in a non-existent 0.25% account maintenance fee for Illnois. Once you get to higher balances, Illinois wins clearly wins out, and even at lower balances it’s more or less even with Ohio (maybe slightly behind). I updated my post to reflect this information. So at this point I think it will come down to investment choices, which I need to dig into further. I agree that Ohio investment options look better than the Utah (for my purposes) though I haven’t really laid them all out side-by-side. It looks like you found what I found when I did my research last week – Ohio seems to be the best out-of-state option in general. RKP makes a good case for Illinois, however. I ran away because I’m opening it up as a gift for my nephew and only putting $250 to start and $100 a year after that. That makes a $10/yr fee very significant. If I were doing a couple of thousand though, it might warrant a look. Isn’t Illinois the lowest cost plan of the three? Even with the $10/year maintenance fee, expenses would only be a maximum of 0.33% on a $10,000 asset balance. Compared to a maximum of 0.43% for Ohio and 0.58% for Utah. The higher the asset balance, the lower the Illinois (and Utah) expenses will be. An advantage I see for Ohio over Utah (and Illinois) is the three risk level options for their index age-based portfolios. I was ready to go with Ohio over Utah until I saw your site mention the recent Illinois changes. After a quick look on the Illinois website, it appears that the index age-based option is fairly aggressive – it most closely compares to the aggressive asset allocation on the Ohio plan. I was probably going to go with the aggressive option on the Ohio plan, so the Illinois plan may be the right combination of low cost and asset mix for me. Sorry for the long post. Does your state have a provision to recapture the deducted amount if you transfer to money to an out-of-state plan? I donâ€™t think every state has closed this loophole. If itâ€™s covered, is there a specified amount of time that contributions need to stay in your in-state plan to keep the deduction valid? You may be able to use the deduction and then transfer the funds after some period of time to a better plan. But then the question becomes, is the little bit of tax savings worth all of the effort? Very timely post. My daughter’s Christening was this past weekend and now she’s flush with cash! Thanks for a great summary. 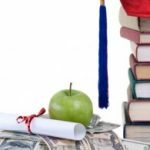 Yes, you are not limited to what state or college you can spend the accumulated funds in for the above listed plans, and for just about any 529 plans. That allows you to do as nickel is doing and shop-around to find the best plan for your circumstances. Some states have what are known as “prepaid” tuition plans which allow you to buy education years for tomorrow at today’s prices. These of course must be used at an in-state (ususally) public institution.